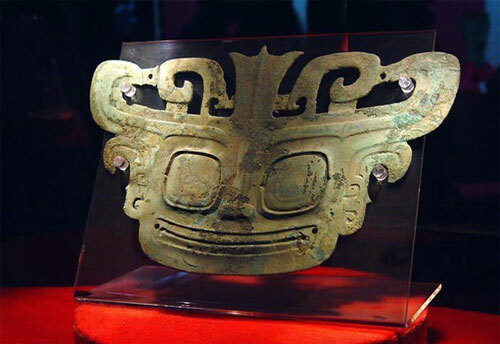 The site of Sanxingdui, located in the city of Guanghan (guǎng hàn 广汉), 40 km from Chengdu (chéng dū 成都), Sichuan Province (sì chuān 四川), is recognized as one of the most important ancient remains in the world for its vast size, lengthy period and enriched cultural contents. 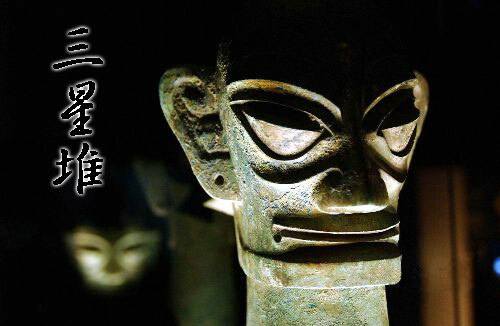 The first Sanxingdui relics were discovered by a farmer in 1929 and excavation has continued ever since. 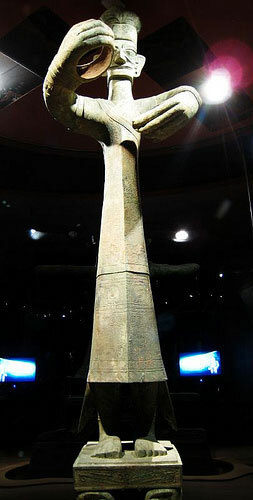 During this period, generations of archaeologists have worked on the discovery and research of the Sanxingdui culture. In 1986, two major sacrificial pits were found and they aroused widespread academic attention around the world. The Sanxingdui finds are exciting, but they remain enigmatic. No texts have been found, nor is there any mention of this culture in the records of other countries. Analysis of lead and other elements in the bronzes indicates sources similar to those of other cultures along the lower reaches of the Yangtze River. At this point, however, the unique culture that produced these artifacts remains a mystery. More than a thousand priceless treasures were dug out, including bronze, jade, gold and earthen ware plus ivory and shells among other items. The bronze wares include vessels, weapons, large standing human figures, head portraits, animal figures, and even masks. This discovery demonstrated the existence of large-sized sculptures in the Shang Dynasty, which were created by ancient Shu people. 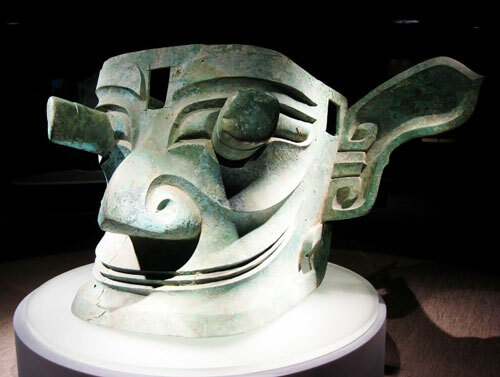 For the first time, people got a chance to peek into the highly developed bronze civilization of the Kingdom of Shu (gǔ shǔ guó 古蜀国) in the middle and later period of Shang Dynasty and its unique charms.